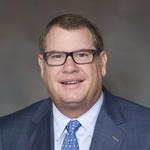 LOTH | JB Buse Jr.
Mr. J.B. Buse, Jr., serves as the Chairman and Chief Executive Officer at LOTH holdings, a Cincinnati-based Steelcase dealer and full-service office design company founded in 1891 with locations in Columbus and customers nationwide. Under J.B.’s leadership and commitment to delivering award-winning customer service and premium integrated project management services, LOTH has expanded over the years to include a portfolio of entities including: OptiVia Bank Equipment Services, a security and high-value solutions provider for banks and credit unions. OptiVia Logistics, a third-party logistics company offering best-in-class solutions for transportation management, warehousing, inventory control and project management. Emerge Workplace Technologies (EWT) acknowledges the role of technology and furniture design by offering end-to-end digital/AV workplace solutions thus connecting people, place and technology. LOTH has earned rankings as one of the Deloitte Cincinnati 100 for nearly a decade. J.B. continues a family legacy of community development and growth through his generous support and contributions to organizations all of which play a vital role in the commonwealth of our city. He is in partnership with The Regional Economic Development Initiative (REDI) Cincinnati leads the economic development effort in the three-state, 15-county region at the intersection of Ohio, Kentucky and Indiana. As a JobsOhio network partner, REDI Cincinnati serves as a single point-of-contact for companies looking to grow or locate in Greater Cincinnati. He serves as a Member of Board of Executive Advisors at Xavier University’s, The Williams College of Business and the Economics Center at the University of Cincinnati. He serves on the board of the Johnny Bench Scholarship Foundation. He is a member of United Way Tocqueville Society and is active in Cincinnati WPO, Cincinnati Regional Business Committee and ArtsWave – the nation’s largest fine arts fund. He is Chairman at Greater Cincinnati American Heart Association and a 2017 Medical Mutual Pillar Award honoree. J.B. attended the University of Cincinnati and is a Graduate of Indian Hill High School. Play VideoLOTH’s 125+ Year History, told by JB Buse Jr.